Booking Disney Vacation Club villas as late as 7 months prior to your arrival date has some unique challenges. 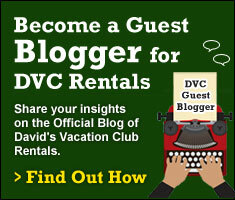 Today Guest Blogger Tim Krasniewski, publisher of DVCNews.com, offers some information to consider for successful vacation planning. Disney Vacation Club owners can book accommodations at their “Home” resort – the resort which they physically own – up to 11 months prior to arrival. They can book at non-Home resorts 7 months prior to arrival. A question frequently asked by renters and prospective members is what sort of success to expect at the 7 month booking window. After all, that leaves 9 other destinations which must be booked on shorter notice. The answer varies greatly depending upon the specific resort, season, “view” and even the size of the villa. 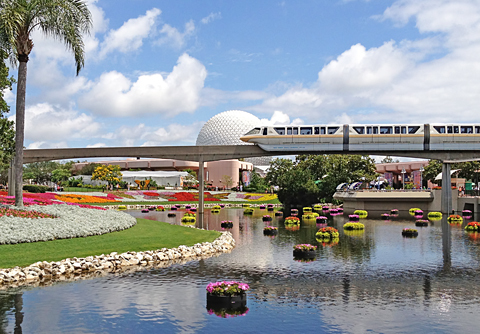 Let’s look at some general rules of thumb regarding the difficult and not-so-difficult times to book at 7 months – particularly among the Walt Disney World properties. 1. Thanksgiving through New Year’s: The Thanksgiving and Christmas holidays pretty much speak for themselves. The point costs are high during these periods but with many families unable to travel during non-vacation periods, there is great demand for Disney Vacation Club accommodations. The deceptive period is the 2-week stretch in early December. Traditionally that is a slow time at Walt Disney World and the dates fall within DVC’s Adventure Season – cheapest of the year. Many people immediately think that it is a similarly slow time at the DVC resorts. Not so. Those two weeks in early December have arguably the highest demand of the entire year! Between the holiday decor at the Disney parks, temperate weather and low point costs, most villa rooms are reserved by their owners well before that 7-month booking window even arrives. 2. Food and Wine Festival: Reserving accommodations at Disney’s Beach Club Villas and Disney’s BoardWalk Villas is always difficult due to their proximity to the Epcot theme park. That difficulty reaches its peak from late September to early November due to the Epcot International Food & Wine Festival. Being within stumbling… er… walking distance of one’s hotel room is a primary reason that many owners buy into either of these two DVC properties. 3. Around most other major US holidays: Martin Luther King Day, President’s Day, Easter… these are all opportunities for families to spend a week at the Disney Parks while minimizing the amount of school days their children miss. Honorable Mention: Walt Disney World Marathon dates, “Jersey Week”, summer at Hilton Head and Aulani, anytime at the Villas at Disney’s Grand Californian Hotel. 1. Most of September and January: These months also fall into the aforementioned Adventure Season and are more worthy of the moniker. Most of September – before the Food & Wine Fest begins – is dreadfully slow at the Disney Vacation Club resorts. This is the period when Disney has been using its “free dining” offers to lure cash guests for the better part of a decade. January is a bit spotty because the Walt Disney World Marathon and Martin Luther King Day boost crowds but other times of the month are quite slow. 2. Easter through Memorial Day: Well, actually it starts about 7 days AFTER Easter because that week immediately following sees some of the highest crowds of the year. Once the Easter rush passes, DVC demand drops off noticeably until late May. With the end of the school year approaching most families are reluctant to pull their kids out of school, leading to relatively low crowds. This is also the time of year when Epcot holds its Flower and Garden Festival, making it an enjoyable time to visit for those who are able. 3. Early February: More expensive than January but Spring Break vacations have not yet begun. No special events are planned at the parks to attract greater crowds. Honorable Mention: Late August, mid November (between “Jersey Week” and Thanksgiving week, winter months at Hilton Head. Many people mistakenly assume that their experiences booking Disney Vacation Club resorts will be similar to reserving a room at a Disney cash hotel. That is not the case. 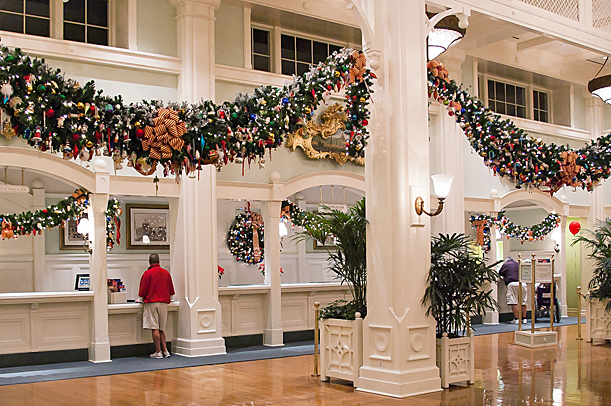 Disney’s cash hotels average 80-85% occupancy year round. Most days a room at the Polynesian or Grand Floridian can be secured on 24 hours’ notice. 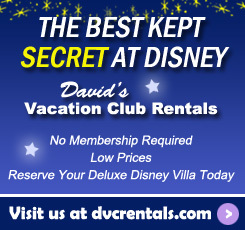 At the heart of the Disney Vacation Club timeshare program is near-100% occupancy year-round. Disney sells enough points such that every villa room should be occupied every night of the year (less some allowance for removing rooms from service for maintenance.) As such, the more resorts / views / villa sizes / dates will be booked much earlier than those which are less popular. Whether one owns Disney Vacation Club points or rents from a member, a realistic understanding of availability can only boost satisfaction. Suffice it to say that booking a Savanna View One Bedroom at Disney’s Animal Kingdom Villas for mid-September is much easier than a Beach Club Villas Deluxe Studio for early December when booking 7 months prior to arrival. Plan appropriately to avoid the risk of being shut out. 2 thoughts on "Successful Booking at Disney Vacation Club’s 7-Month Window"
So is it a good idea/possible to book your home resort 11 months out and then try to switch 7 months out so at least you secure a reservation – even if not at your resort of choice?